We've been compiling some amazing Porsche models on eBay for three years now, and we've seen some pretty astonishing examples pop up now and again. This week we're focusing on the various examples of the 996-generation 911. Hopefully you've enjoyed our curated look at the Porsche market. Keep in mind, some of these Porsches could be great collection investments, while others might prove to do more financial harm than good. 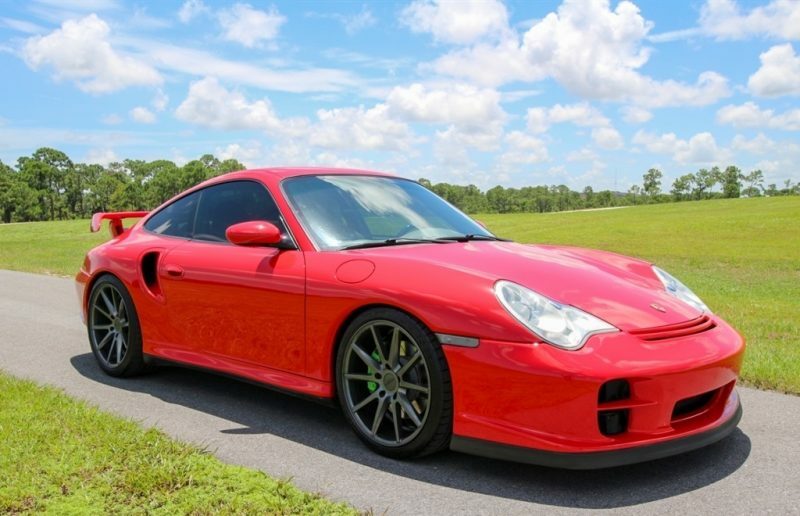 Every other week, we feature 5 of our favorite Porsches on eBay. That post is sent out to our mailing list of more than 17,000 Porsche owners and fans and is seen by 10s of thousands of other readers who visit our site directly. If you're selling a Porsche on eBay and would like to see it featured here, just shoot us an email with the details and we'll be back in touch. Otherwise, feel free to check out all the other eBay listings we have on our Porsches for sale pages. The 996 GT3 is one of the greatest driving experiences that Porsche has ever created, melding proper dynamics with analog driving. The steering is perfect, the power level is perfect, and the car just begs to be flogged a bit more than you think you should. Not to mention, with the later turbo-style lights, a delicate wing, and a better looking front bumper, this might be the best looking 996 of them all, as well. These have exploded in value in the last few years, so get one before they're all too expensive. Over the past year I've really come around on the entry level 996 as a design marvel. This is a simple and sleek body that doesn't get enough appreciation. The headlights aren't great, but they're growing on me, and especially in this all-clear Litronic setup, don't look out of place. The standard Carrera is, despite what the critics say, a pretty car. Better than that, though, it's an awesome driving experience. Porsche improved every aspect of the driving experience from the 993 that it replaced, aside from perhaps interior ergonomics. It drives better, sounds better, and goes around corners more competently. This was Porsche's first clean-sheet 911 since 1963, and it shows. Where the 996 Carrera coupe looks simple and clean, the 996 Cabriolet is a bit of a design mess. The rear deck looks more hump-backed than ever, and it's not much better with the top up. That said, you can't really see the car from the driver's seat, and that's exactly what this car is for. Imagine a late summer evening like today in this Guards Red masterpiece. It's a bit ugly, but you can feel the warm wind in your hair, can't you? Everything from the sound of the engine to the smells of the road (some good, some bad) is amplified with a drop top. There's nothing separating you from the world, and that's the joy of top-down motoring. Even more of a visual mess, perhaps, is the Carrera 4S Cabriolet, as it adds the visual complexity of the widebody to the mix. The C4S is one of the most brilliant 996 models, and the heckblenden rear reflector is part of the car's charm. With the factory hard top installed, this car doesn't actually look too bad. It's certainly a rarity, as I can't even think of the last time I've seen one. What do you think? Worth it, or no?